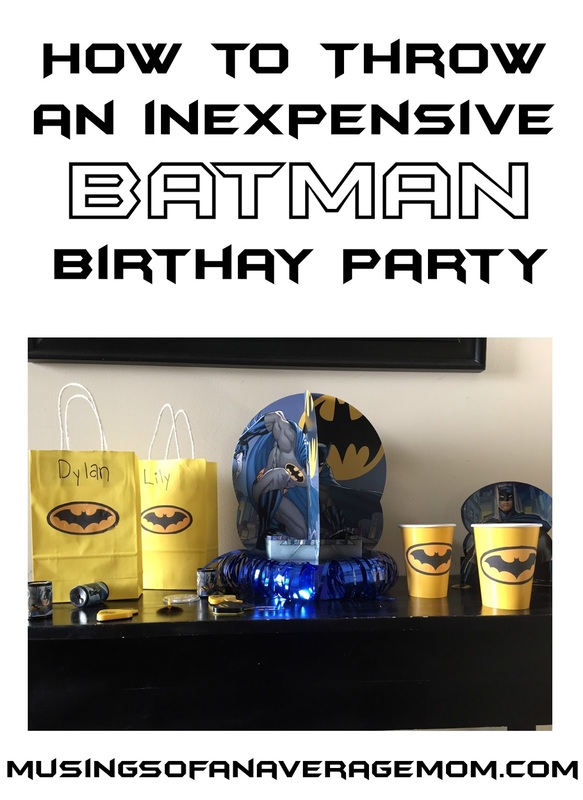 I love kids birthday parties - I always throw my kids a theme party of their choice every year but buying all the decorations and themed dinner ware was getting expensive so I started to purchase coloured party supplies at the dollar store and add my own logos and images to cut down on costs. Dylan wanted to have a Batman birthday for his 4th birthday so I purchased yellow plates, napkins, and a black tablecloth at the dollar store at less than a quarter of the price. I purchased yellow gift bags - which I like better than the cheap plastic treats bags anyways as I can fit more party favours in them. I purchased Batman favours and included a couple other items like Batman hotwheels I found at the dollar store, ring pops and some other random items. I saved batman logos eight to a page which you can print here for free. 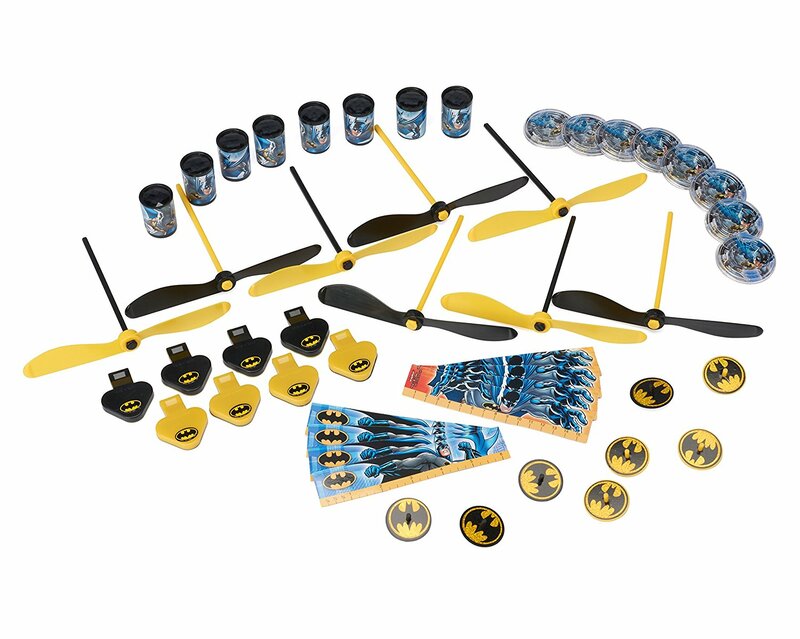 I attached them to the treat bags and paper cups. 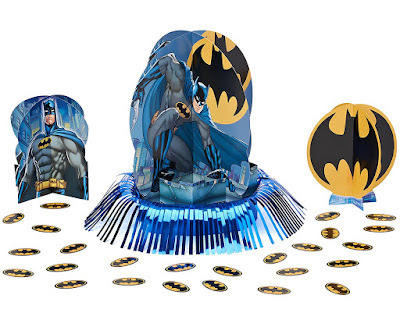 I bought a couple of Batman decorations to go with everything. 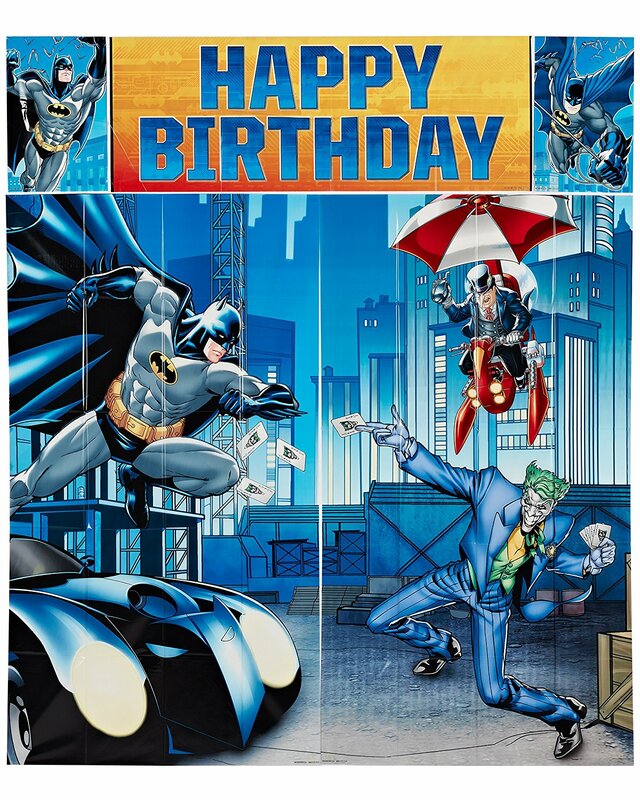 Including a Batman backdrop for taking pictures. 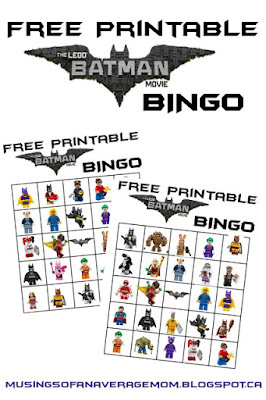 And you can also print out free Lego Batman bingo if you are looking for a simple and cheap party game. 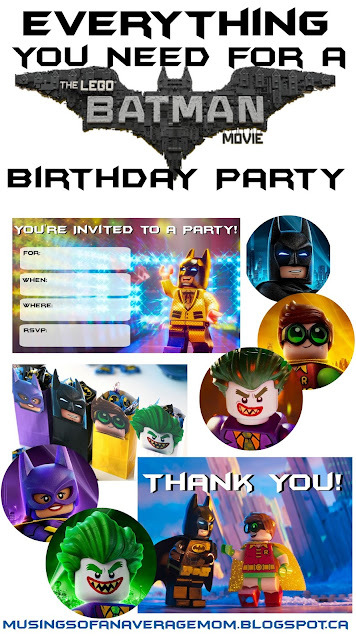 You might also like Everything you need for a Lego Batman birthday party which includes free invitations, cupcake toppers, thank you cards and more!